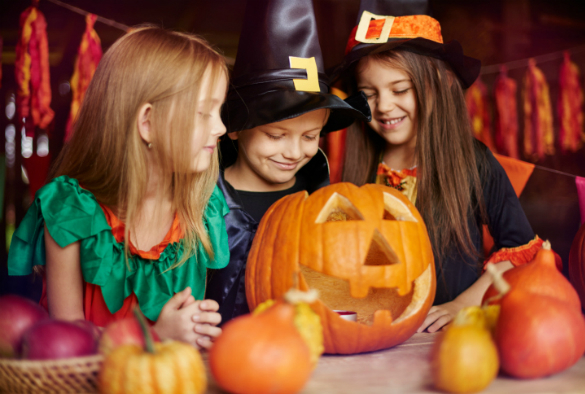 Ness Botanic Gardens has a host of spooky activities lined up for kids this half term. Halloween Week takes place from Saturday, 24 October until Sunday, 1 November and includes a Spooky Plant Scarecrow Trail featuring hair-raising plants, rune puzzles and chocolate treats. A highlight for Saturday, 31 October is the Toil & Trouble Bubble Show, which promises an extravaganza of luminous slime, spooky fog, magical colour changing potions and petrifying plant horrors to get you in the mood for Halloween night. Other events throughout the week include Halloween-inspired film showings, craft workshops and storytelling sessions. All activities are suitable for toddlers and children up to 12 years old. For full details of Halloween Week please visit the Ness Botanic Gardens website.